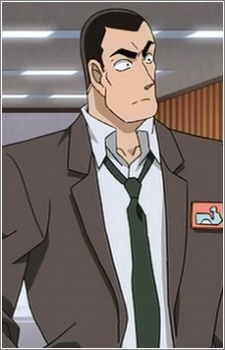 Juugo is the younger brother of Yokomizo Sango, who is also an inspector from Kanagawa police district. Both started their police career in Saitama, but some time later Sango transferred to the Shizuoka district. However, they do stay in touch and have even assisted each other in various (and even locally unrelated) cases. Unlike his brother Sango, Juugo is serious, stern, and much less easygoing, and also much more impatient. Juugo is considered an adept inspector, but because of his habitual sinister stare he appears even more intimidating than his brother. As a result, he is not quite popular with any persons outside the force, especially if they are able to compare him with his brother.